Quality used car website – Budds’ BMW Oakville. Looking for quality used cars has never been easier with the online inventory at Budds’ BMW Oakville. Our quality used car website in Oakville has a massive selection of quality used vehicles that will give the driver an exhilarating driving experience. We have something for everyone and if you are looking for an SUV, coupe, sports car, sedan, pickup truck, minivan, or motorcycle, we’ve got what you need. Budds’ BMW Oakville makes it easy for our customers to search for quality vehicles online. Our customers have the freedom of choice and can filter their search options so that only the vehicles they are searching for will appear. This feature is convenient for our customers because it saves them from having to drive around to different dealerships just to look at each type of vehicle they are interested in. With our quality used car website in Oakville, our customers are able to stay in the comfort of their own homes, and look through our inventory of different types of vehicles. Once our customers have selected a vehicle they are interested in, they can give us call, or book a test drive online; it is all right there at your fingertips. At Budds’ BMW Oakville, we pride ourselves on providing high quality customer service from the moment you step foot into the dealership, and from the moment you log onto our quality used car website Oakville. We have made it easy for you to search for the quality used car you are looking for, and you will never have to compromise on the performance, look, and quality of the vehicle itself. 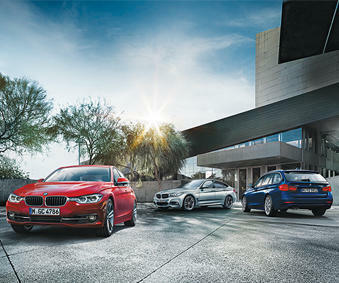 Budds’ BMW Oakville has included various filter options for our customers so they can narrow down their search quicker. Filters like make, body type, price, color, transmission, trim, doors, year, and drivetrain are just a few of the filter options we provide our customers online. Clients are able to search for vehicles that only have the features and specifications that they want, instead of having to sift through a full list of general vehicles. When customers are looking for used cars online, they like to see a variety of pictures of the vehicle they are interested in. Budds’ BMW Oakville includes only the highest quality photos of our vehicles for our quality used car website in Oakville. Our vehicle photos are very high resolution and they show our customers a detailed look at 360 degrees around the vehicle. Our photos also show customers the interior of the vehicle so they can see the features of the dashboard and center console, the interior materials, and the rear seating space. A quality used car website in Oakville will be a detailed database where customers can go to search for quality used vehicles. Budds’ BMW Oakville has hit the nail on the head with our online inventory of world class driving machines. If you would like to book a test drive in a vehicle you have seen online, please feel free to contact us via phone or book online. You can also come in and speak with one of our representatives who are more than willing to provide you with quality customer service from the moment you step foot into the dealership.